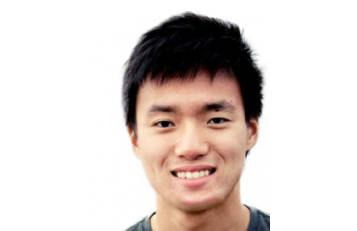 UPDATED: November 25, 2014, at 8:10 p.m.
Eldo Kim, the Harvard undergraduate charged with threatening to bomb four campus buildings last December, spoke out on Tuesday for the first time since his actions brought the University to a halt nearly a year ago, publishing a statement in The Harvard Crimson apologizing for his actions. In the statement, Kim took full responsibility for the emailed bomb threats, which he sent to the Harvard University Police Department, The Harvard Crimson, and two Harvard officials half an hour before he was scheduled to take a final exam at 9 a.m. on Dec. 16, 2013. The threats triggered responses from local, state, and federal authorities, as well as the evacuation of the Science Center, Emerson, Sever, and Thayer halls, the buildings in which Kim allegedly wrote he planted the bombs. Authorities also locked down Harvard Yard. 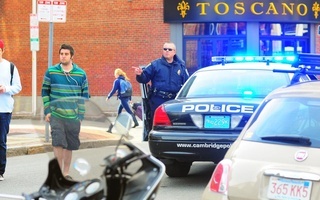 The closures lasted for around five hours as HUPD, Cambridge Police, and federal law enforcement searched campus, clearing the four threatened buildings one by one. Several exams scheduled in the morning and afternoon were also cancelled. Many students made up the affected exams in February. Kim wrote in the statement on Tuesday that he could “only cringe at [his] sheer stupidity and immaturity” and felt he “betrayed the very community that [he] had intimately become a part of and come to love.” He blamed sleep deprivation, personal anxiety, and academic pressure as the main factors that caused him to send the threats. Kim’s attorney Allison D. Burroughs wrote in an emailed statement later in the day that Kim hopes to finish his degree at Harvard, but that the Administrative Board will ultimately determine whether or not he can return. She added that Kim has “wanted to apologize for sometime,” but that she wanted him to wait until the matter was resolved legally before allowing him to make public comment. The public apology is one of the tasks outlined in the legal agreement Kim received last month in which the U.S. Attorney’s Office has deferred prosecution for 18 months as Kim completes a pre-trial diversionary program. Under the terms of the program, Kim also will be confined to his home for four months, will have to complete 750 hours of community service, and will have to pay restitution to the law enforcement agencies that responded to his bomb threats. If he meets the terms of this agreement, the U.S. Attorney’s Office has said it will dismiss all charges. Kim acknowledged that he hopes to rectify his actions by engaging in community service and work, adding that he is “committed to becoming a better person and a more selfless member of this community.” His statement explicitly addresses the Cambridge community, in addition to that of Harvard. Kim, who wrote that he has been in counseling since the incident, also compelled students who are struggling with stress to utilize the numerous resources available at Harvard, emphasizing that seeking help is “not a sign of weakness or one of defeat.” He said he hopes his experience will serve as a “cautionary tale” for all students. Kim’s lawyer, Allison D. Burroughs, did not respond to immediate requests for additional comment Tuesday morning. The email, received by more than 100 students Thursday morning, appeared to apologize for the death threat email sent earlier this fall. Over six months after hundreds of Harvard affiliates received emailed death threats, many undergraduates await an official end to the police investigation into the source of the emails.